For the Eye-Popping Silent Auction! Many thanks to all who helped make this event in support of Unity House possible. 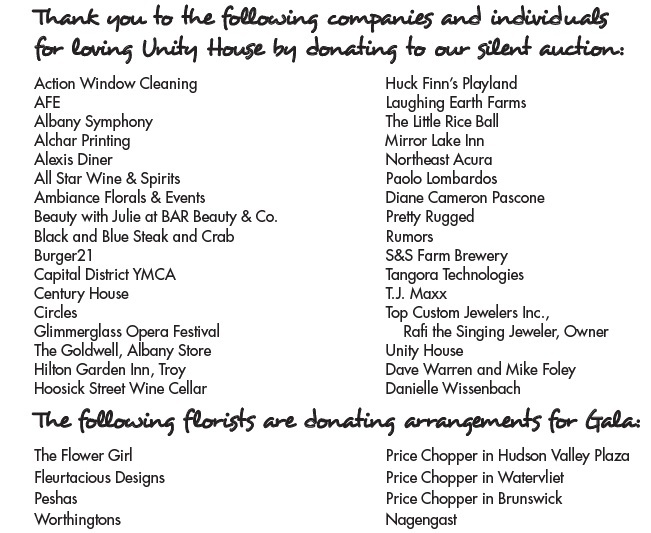 If you frequent any of these local businesses, please thank them for their support of the silent auction at the gala. They help make the night a success!